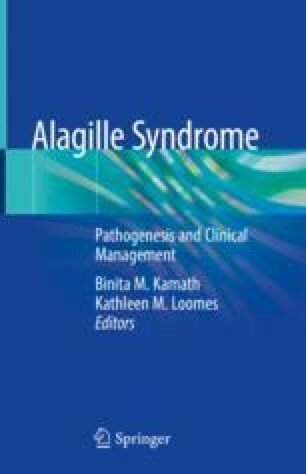 Alagille syndrome results in a spectrum of skeletal abnormalities in patients. Distinct facies are pathognomonic for the disease, and butterfly vertebrae are common. Patients have reduced bone mass and a propensity to fracture. While some of these abnormalities are developmental, others may be associated with alterations in nutrition (malabsorption) and systemic metabolism during growth. Emerging data demonstrate that Notch signaling and Jagged1 in particular have direct effects on adult bone cells. Activating Notch signaling with Jagged1 in human cells promotes osteoblast differentiation. However, data in genetically modified mice suggests that the regulation of Jagged1-Notch on the skeleton is complex, and Notch signaling may have variable effects depending on the site of the bone and the differentiation status of the target cell. Excitingly, the most recent work in the field demonstrates that delivery of Jagged1 bound to biomaterials promotes bone formation. This has broad implications for treating Alagille syndrome patients with acute fractures as well as treating patients with osteopenia.